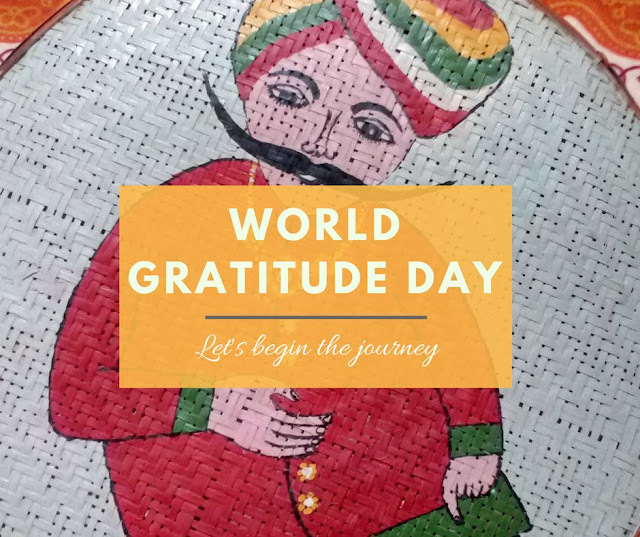 September 21st is World Gratitude Day, a day to show appreciation for all things, big and small. Though we often thank for Job promotions, Bonus or a Life event but we tend to ignore the small blessings in our lives and take them for granted. To practice Gratitude, recognizing these small blessings is the first step, which does not come that easy to us. These things may appear normal to us but they are the real Gems. For example- Sometimes, its Hubby and sometimes its me who drop the Kid to Daycare. But today, we together, went to pick him up from School. It was special in 2 ways- We got some time together. And Kiddo's eyes shone bright to see both of us. Now, this is what I call a blessing to be thankful for. Now, do not wait for next year to express your Gratitude but make it a daily practice. Join me for #GratitudePie, a daily gratitude campaign over Instagram. Let's be grateful for Life. Do come along. All you need is Pen and Paper.